2nd show - these 2 have it down... beauty & gorgeous music, too. and innocent, delivered with captivating melodic clarity and an irresistible playfulness," says the Boston Globe about Hanneke Cassel's playing. 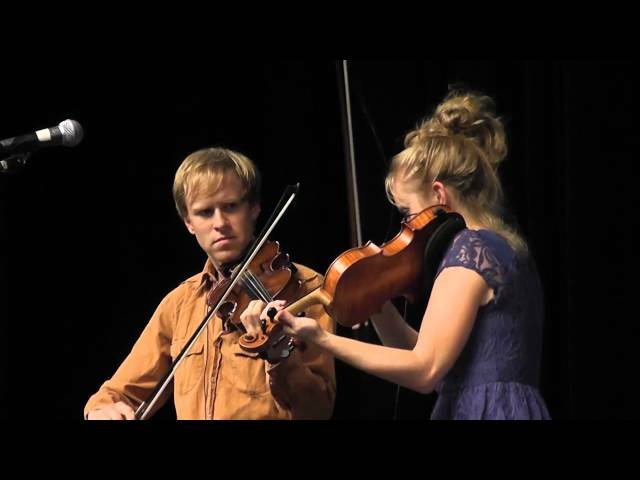 Such charismatic fiddling has brought the native Oregonian many honors and awards. She is the 1997 U.S. National Scottish Fiddle Champion, she holds a Bachelors of Music in Violin Performance from Berklee College of Music, and she has performed and taught across North America, Europe, New Zealand, Australia, and China. IN ADDITION TO HER SOLO ACT, Hanneke tours regularly with Baroque/Celtic group Ensemble Galilei, and has performed with the Cathie Ryan Band and Alasdair Fraser.